What's driving vendors away from traditional ECM? Take the time to look at your existing content infrastructure. Is it a locked-down silo or is everything available via services? Can the content be used in multiple systems? More importantly, are you able to find ways to apply information governance from a central application to content on multiple systems? 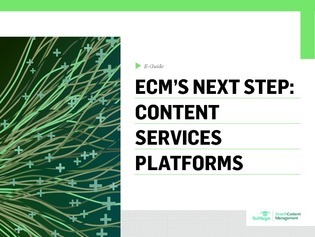 In this handbook, information management expert Laurence Hart explains why the need for a cohesive content management strategy is driving vendors away from traditional ECM and toward API-friendly content service models.